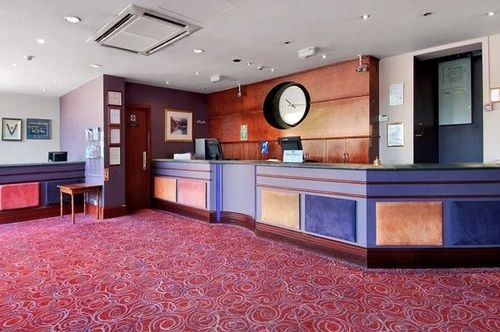 Get lucky in the casino or the bingo hall at the seafront Best Western Palace Hotel and Casino. Plunge into the indoor pool, with views over Douglas Bay, or work out with weights in the gym. The hotel is just 12 miles from Ronaldsway Airport. Enjoy Isle of Man attractions like the Laxey Wheel, the world's oldest working water wheel, or visit the beach and the Manx Museum. Start the day with local kippers for breakfast at Paragon Restaurant and Bar, or enjoy Tahiko, the new nightclub. Just 1 mile from the business district, the hotel has 7 meeting rooms for 2-300 and wireless internet access in public areas. All Best Western Palace Hotel and Casino rooms have high-speed internet access. Step up to a Best Western Palace Hotel and Casino Plus or Deluxe Room for sea views.